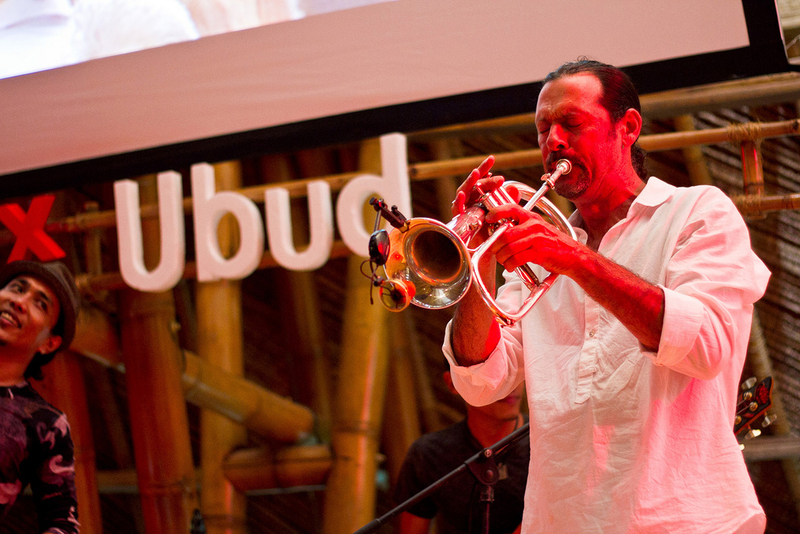 Playing Flugelhorn at the 2012 TEDx event final performance by Rio Sidik and his ensemble. 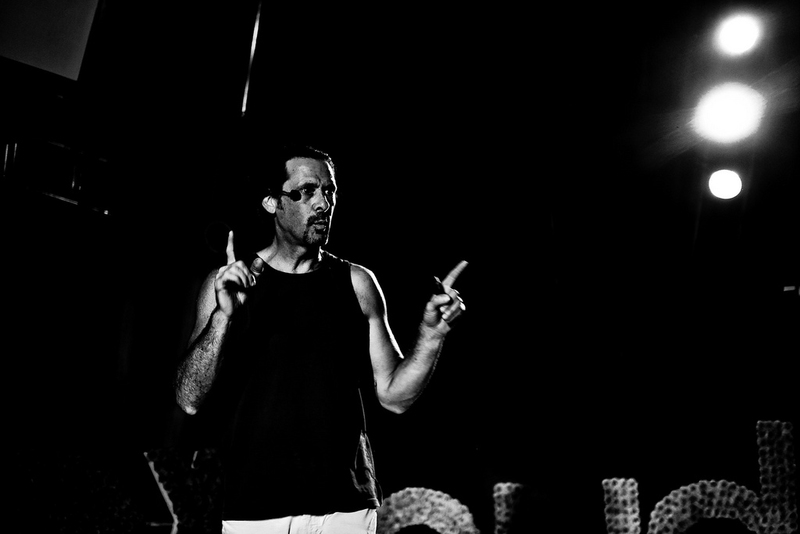 Rehearsal for the 2012 TEDx Ubud event at the Five Elements Resort. 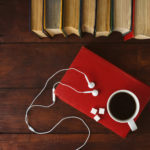 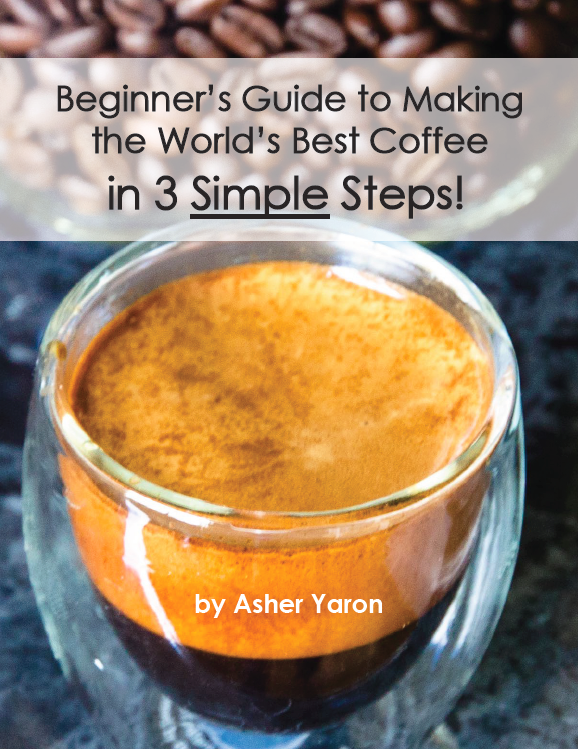 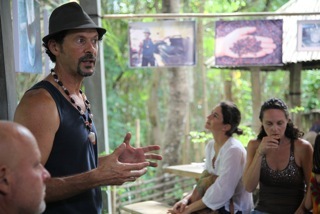 Coffee talk and demonstration at F.R.E.A.K. 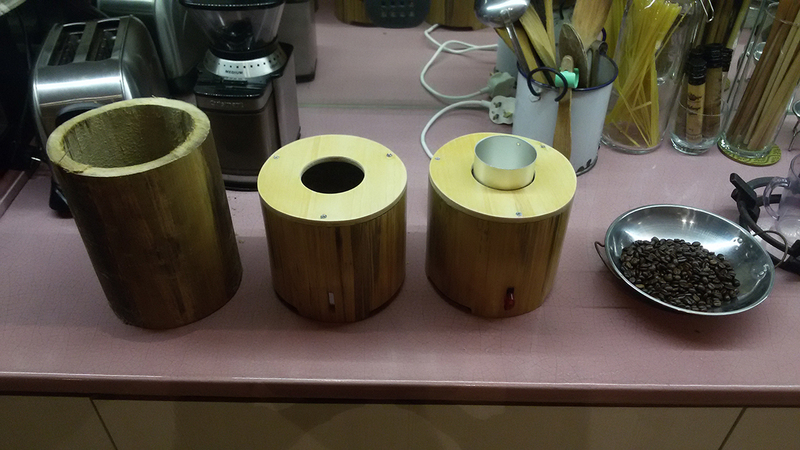 Cafe / Sate Kakul, for a group of Russian dignitaries and VIP's. 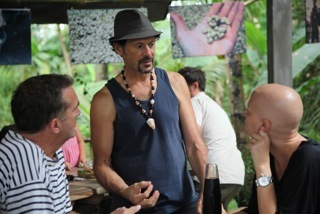 Coffee talk and tasting at the Bali Slow Food Group gathering at F.R.E.A.K. 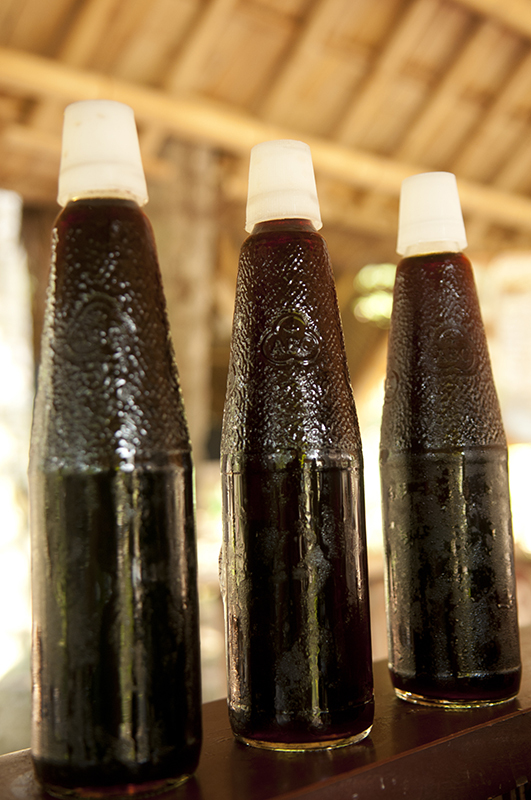 Cafe / Sate Kakul. 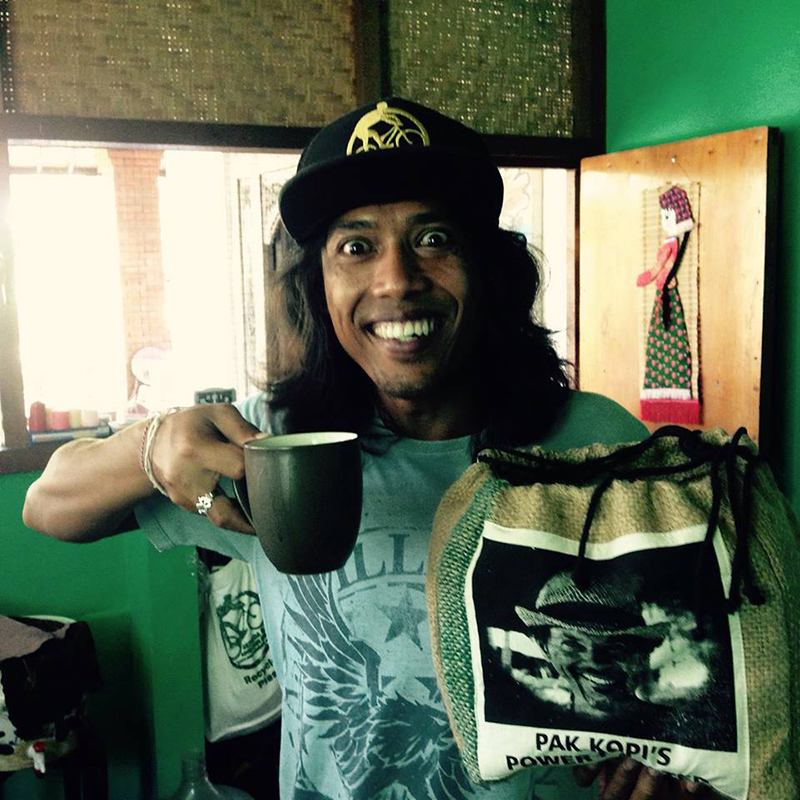 Pak Kopi with his 8 kilo commercial coffee roaster. 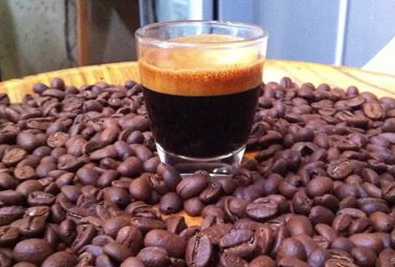 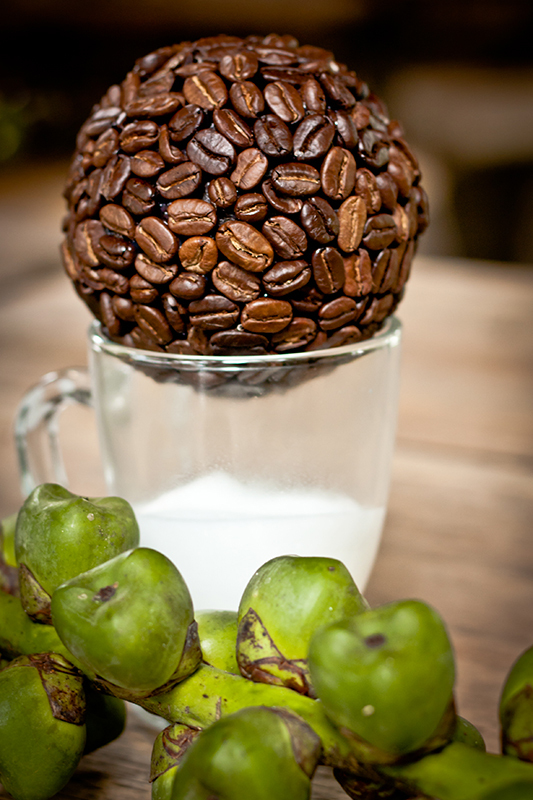 100% Green Arabica Coffee from Kintamani, Bali, Indonesia. 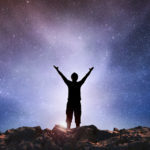 F.R.E.A.K. 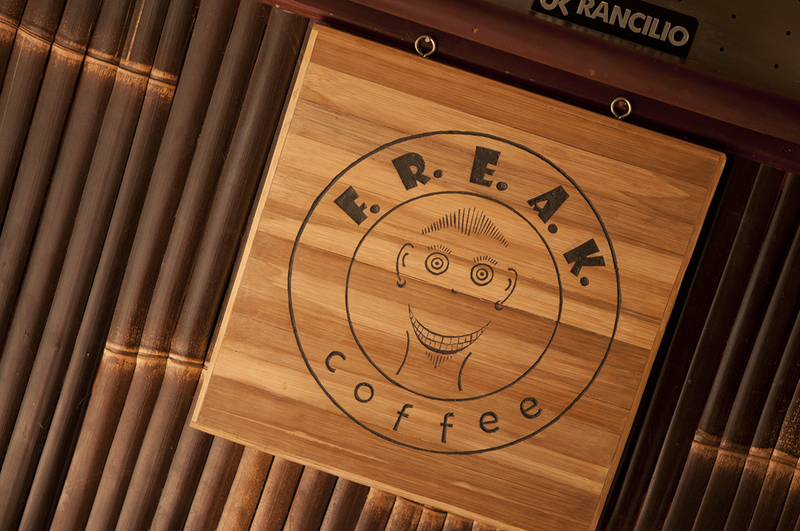 Coffee logo, laser etched into bamboo and posted at the F.R.E.A.K. 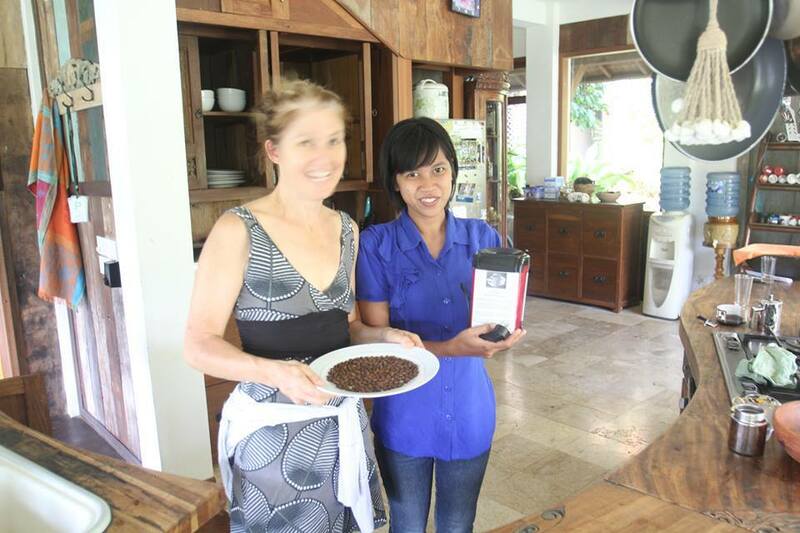 Cafe at the Green School, Bali, Indonesia. 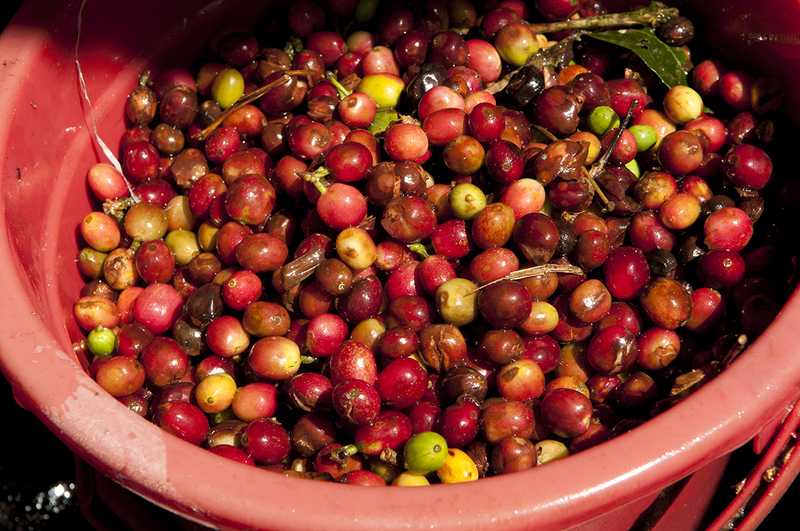 Arabica Coffee cherries.....important to handpick the ripe ones because they ripen at very different times. 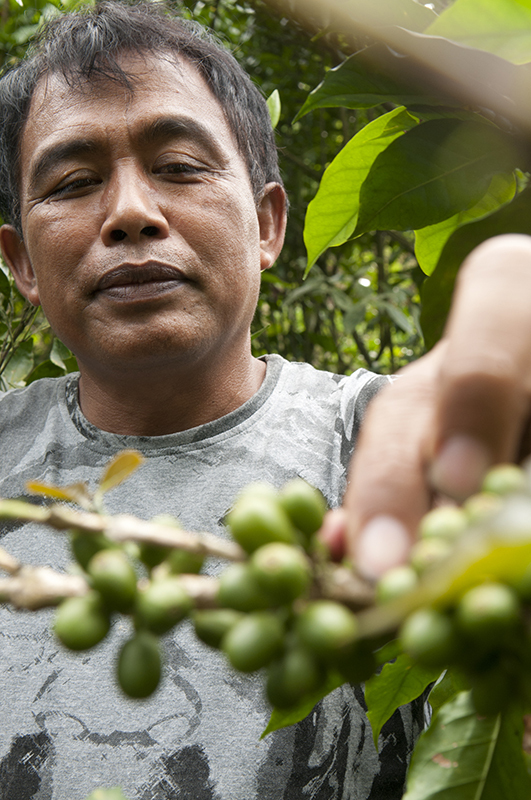 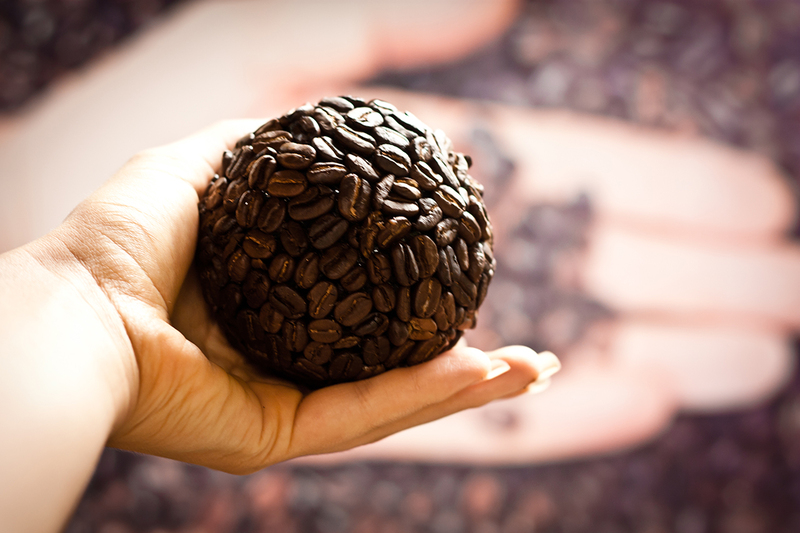 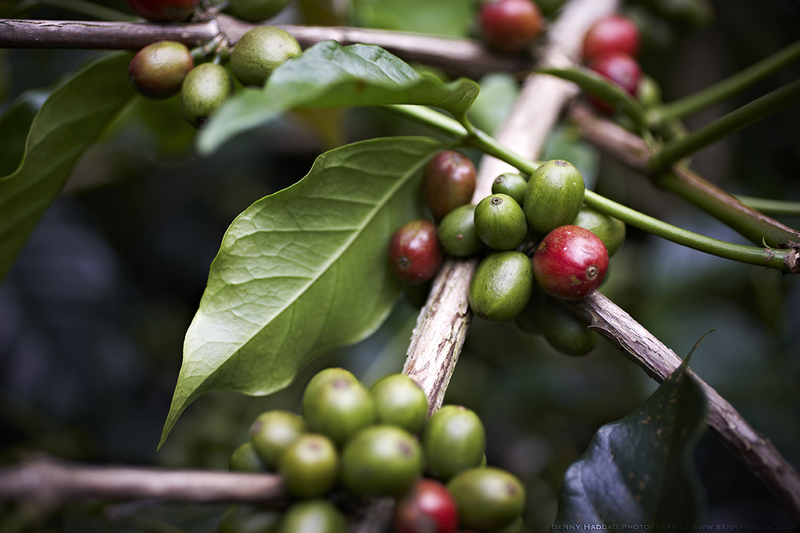 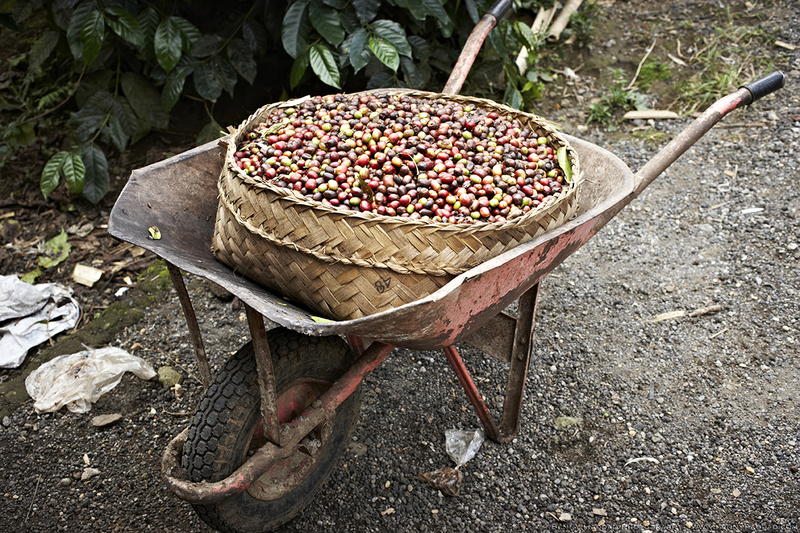 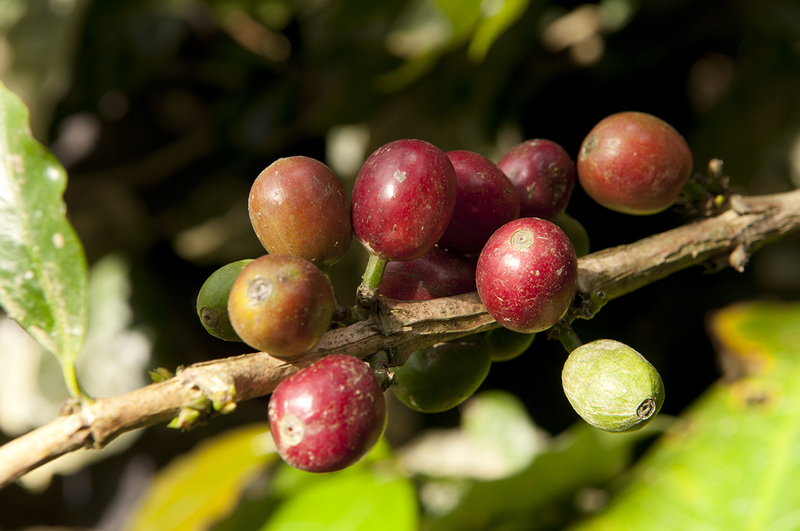 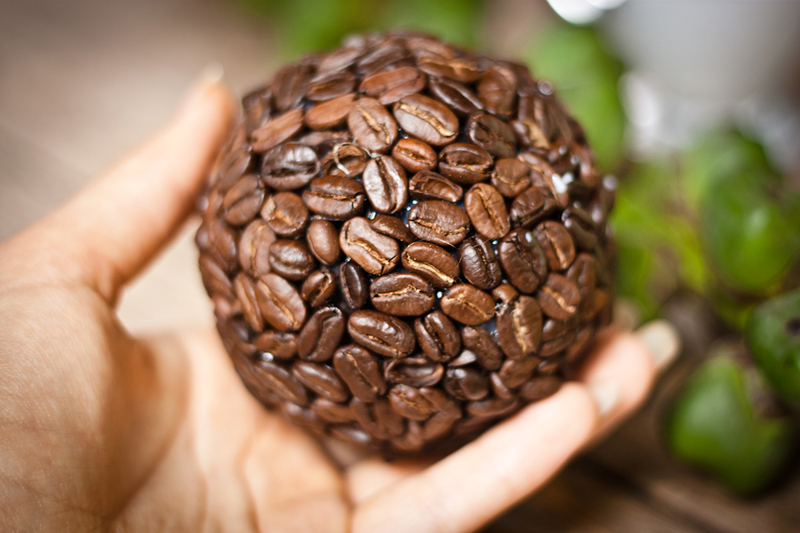 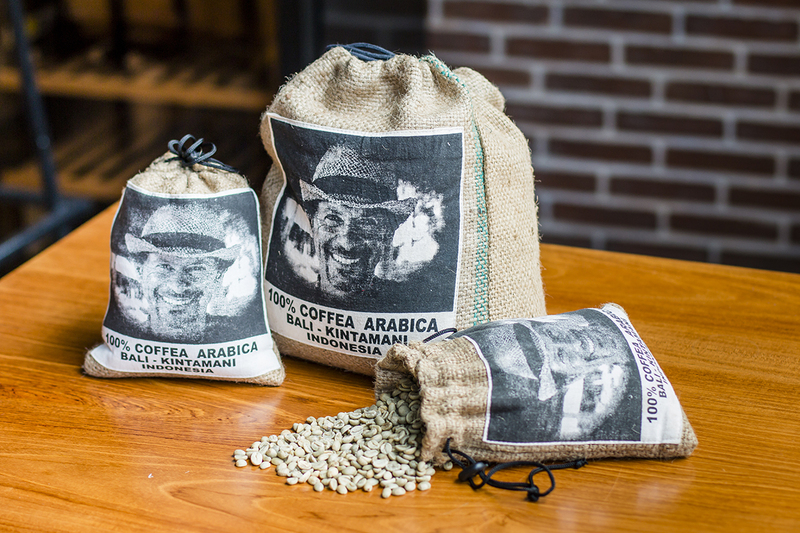 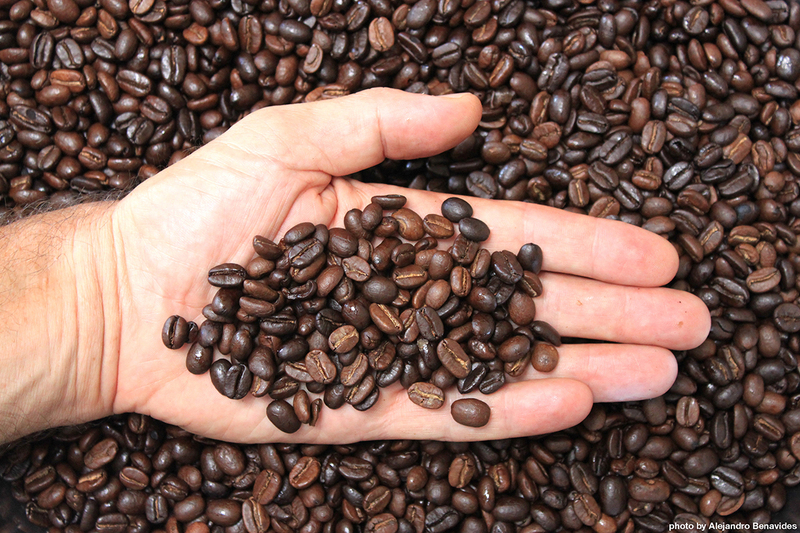 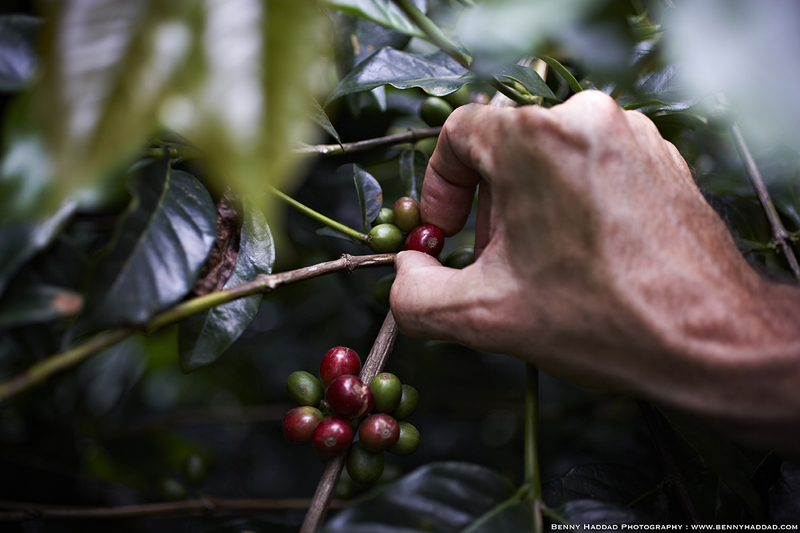 Handpicking makes a big difference in the quality and consistency of the coffee beans. 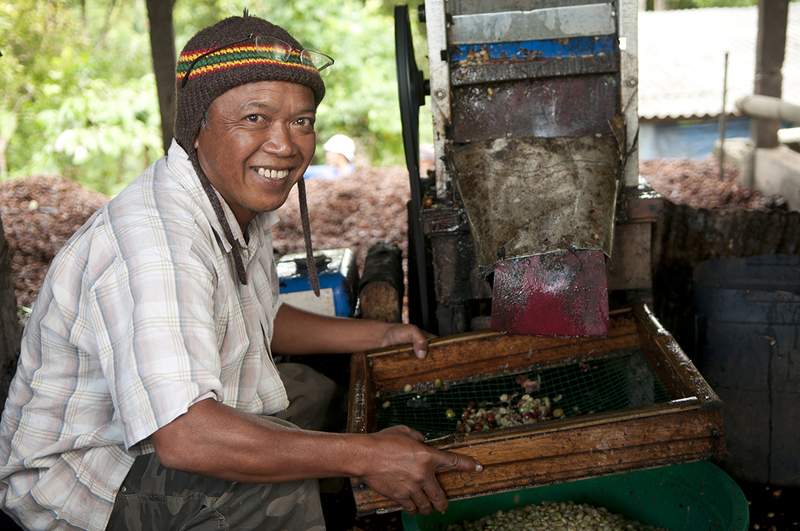 Coffee grower, harvester, and processor, next to the machine that separates the seeds (beans) from the fruit. 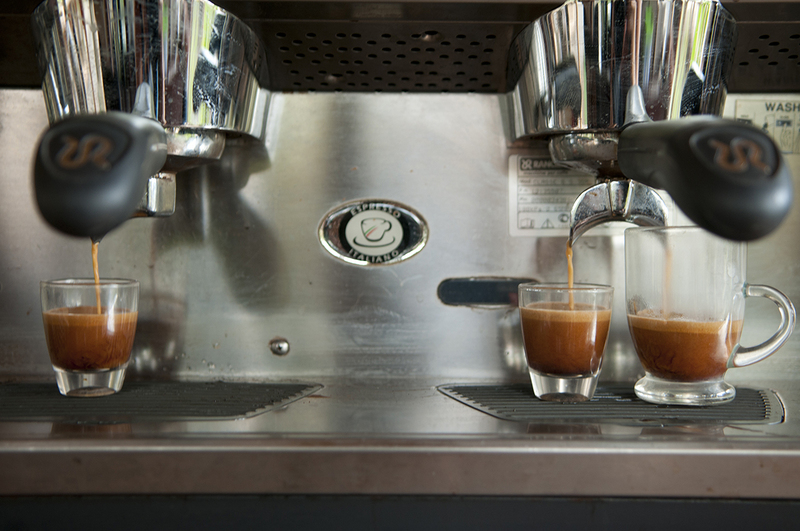 This machine is called a "Luwak". 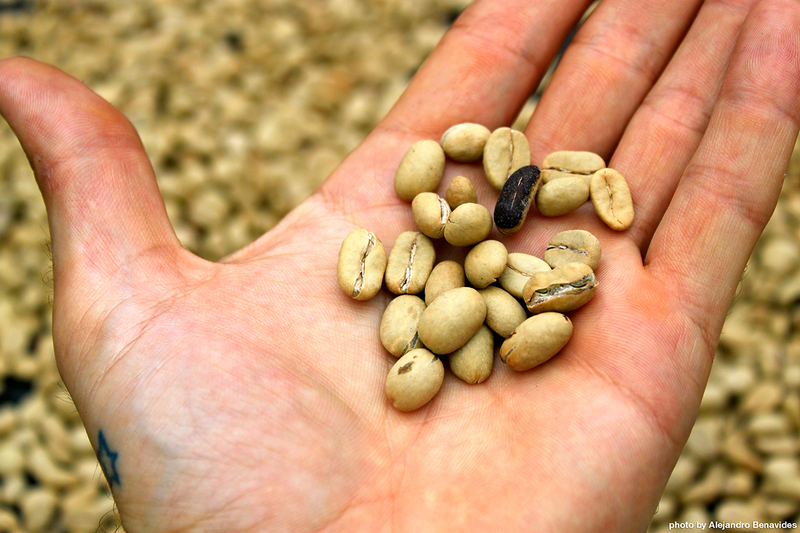 Dried coffee seeds with the parchment still covering the seeds. 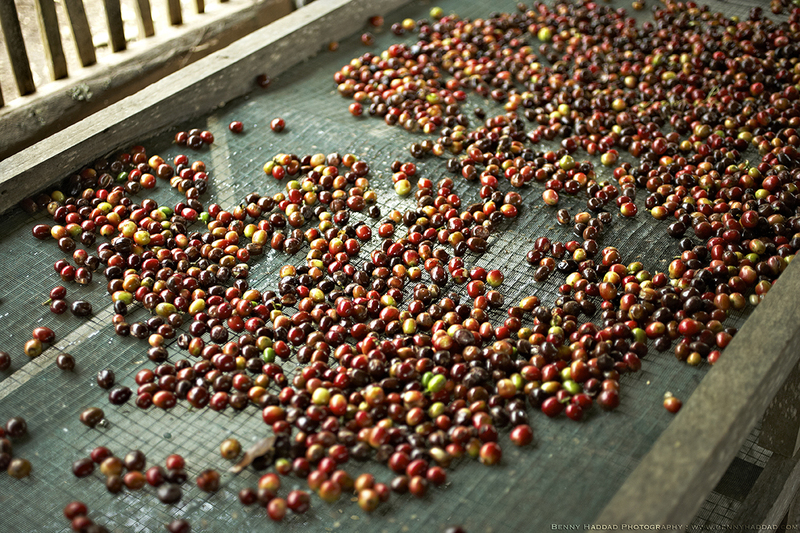 This parchment is removed before the coffee is ready for roasting. 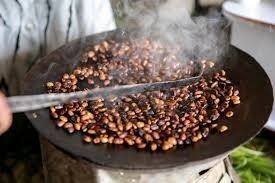 Roasting the coffee as part of the Ethiopian Coffee Ceremony. 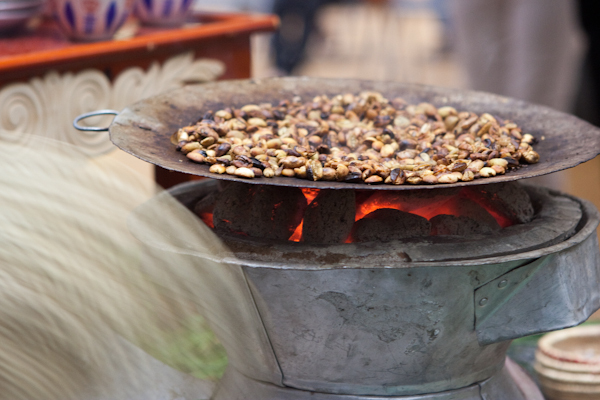 Roasting coffee as part of the Ethiopian Coffee Ceremony. 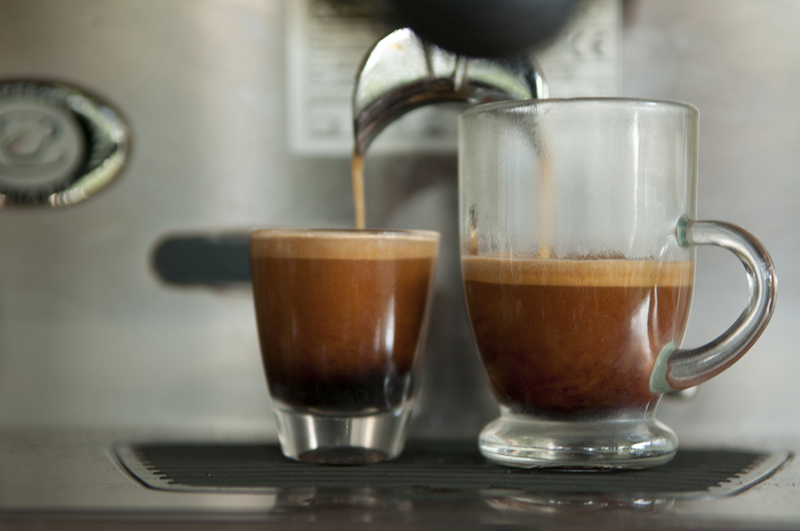 Fresh roasted, ground, and brewed espresso. 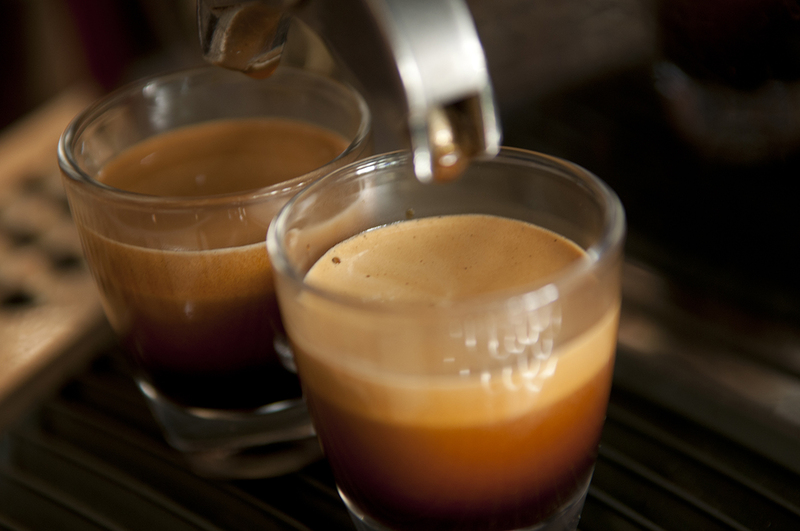 Notice the thick layer of crema! 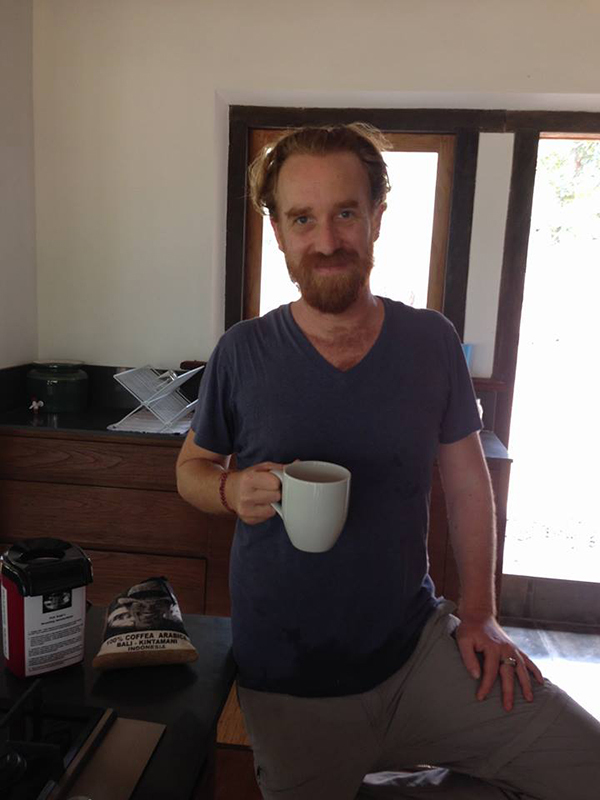 My friend, Alejandro, a talented; barista, artist, and yoga instructor. 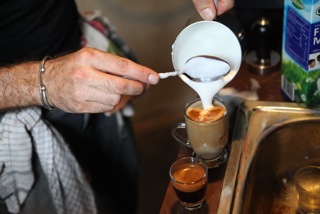 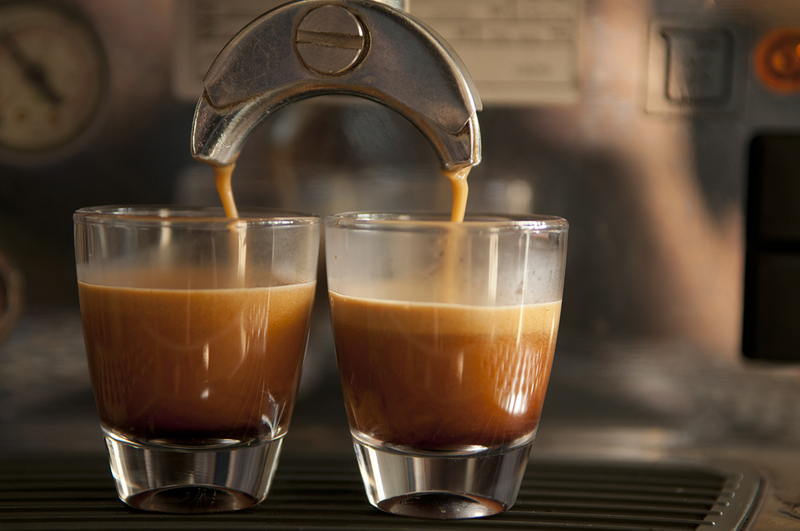 Pulling espresso shots from our 3 group Rancilio propane heated espresso machine. 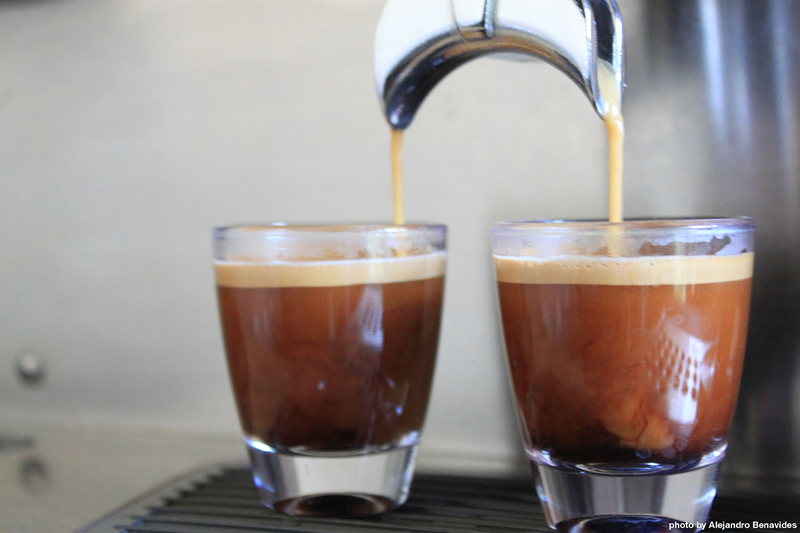 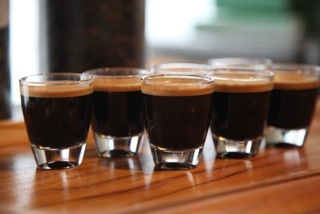 Pulling espresso shots, thick crema from using fresh roasted coffee. 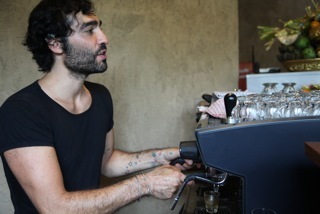 Alejandro preparing espresso and a piccolo latte. 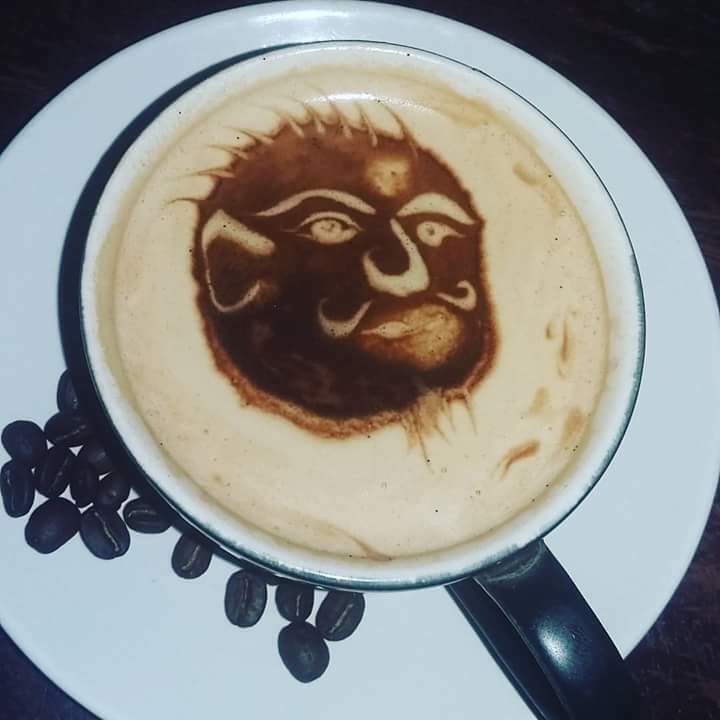 Coconut milk latte art by famed coconut latte artist Ngurah, aka, Qijem Rah. 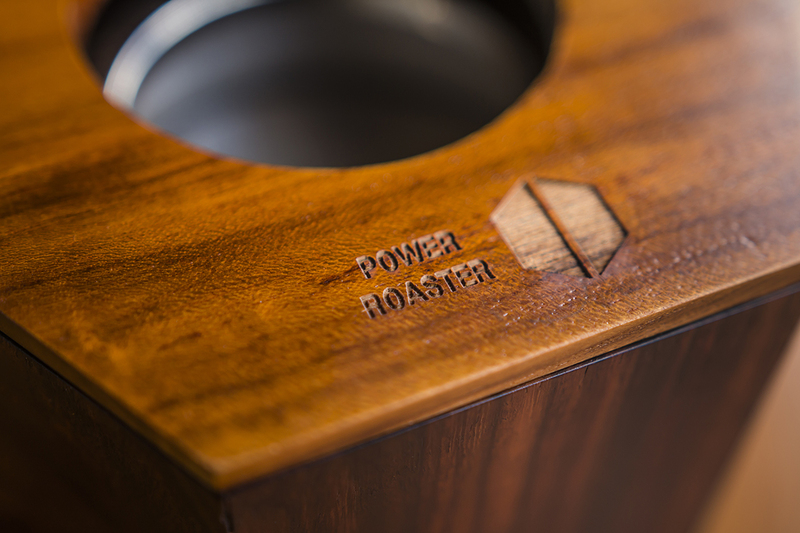 Power Roaster working prototype with Green Coffee before roasting and roasted coffee from the machine. 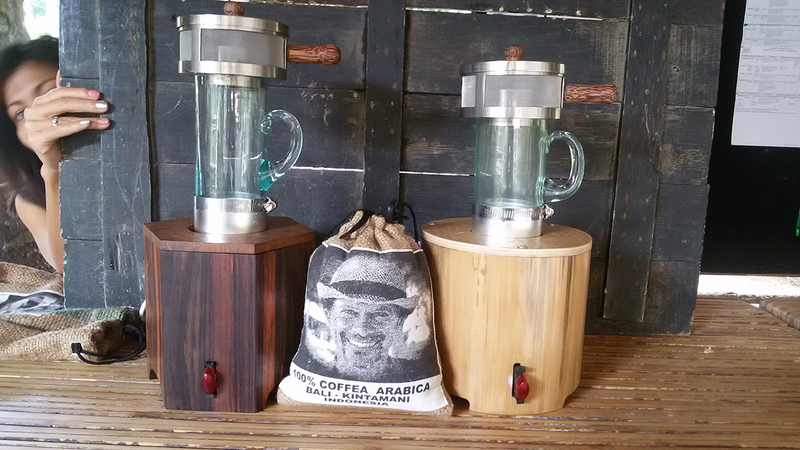 2 early prototypes of the Power Roaster. 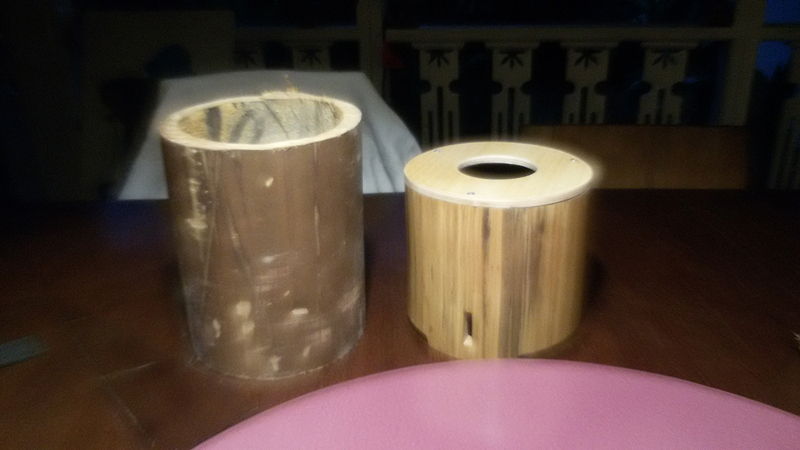 On the right our first prototype base made from giant bamboo, and the 2nd generation base made from Rosewood and Teakwood. 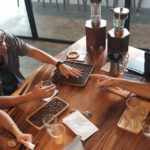 Early prototype used at the 2017 Singapore Coffee Festival for demonstration purposes. 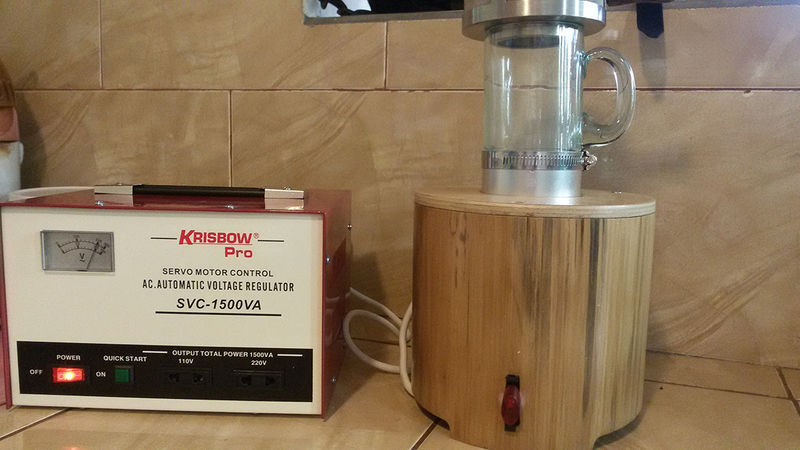 Because of the erratic behaviour of electrical current in Indonesia we must use the stabilizer, shown on the left. 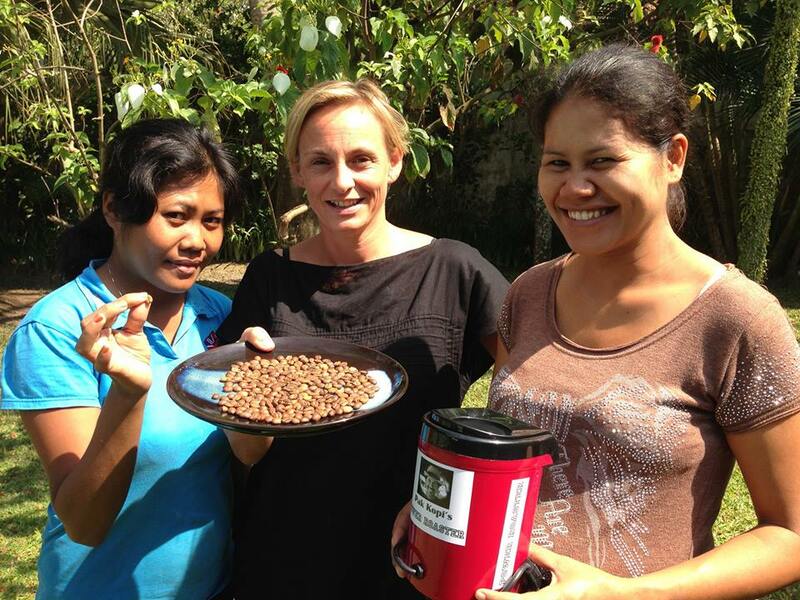 My Green School community supporters who purchased the very first prototypes of the Power Roaster. 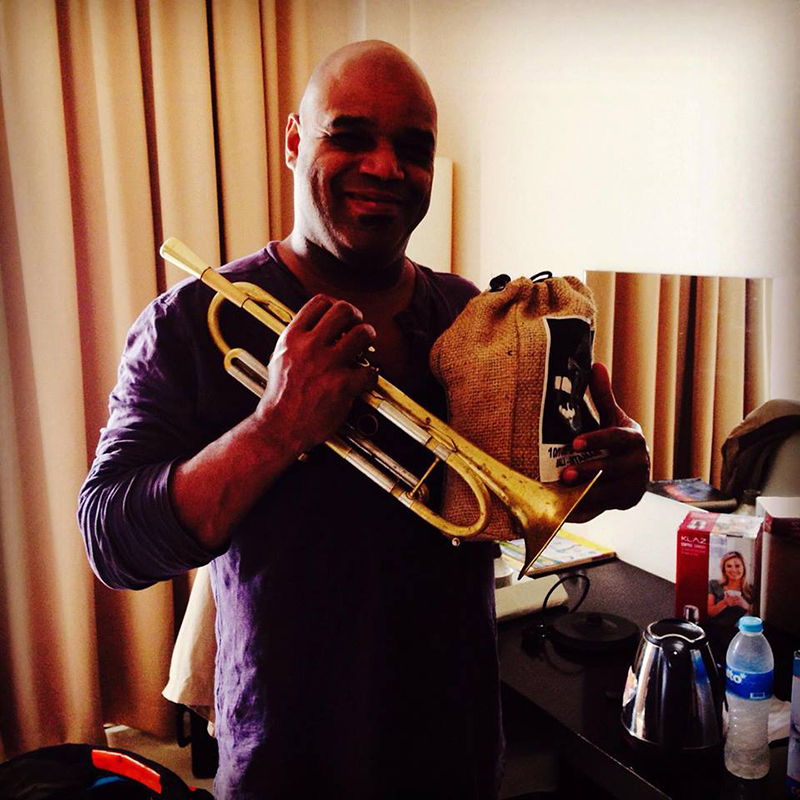 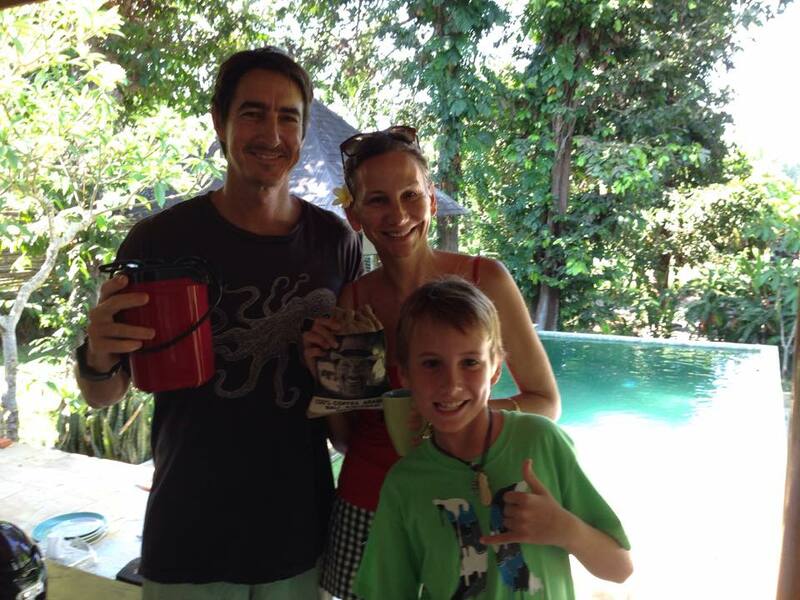 World Famous trumpeter Michael Varekamp whom I had the pleasure to study with in Bali at Jazz Camp. 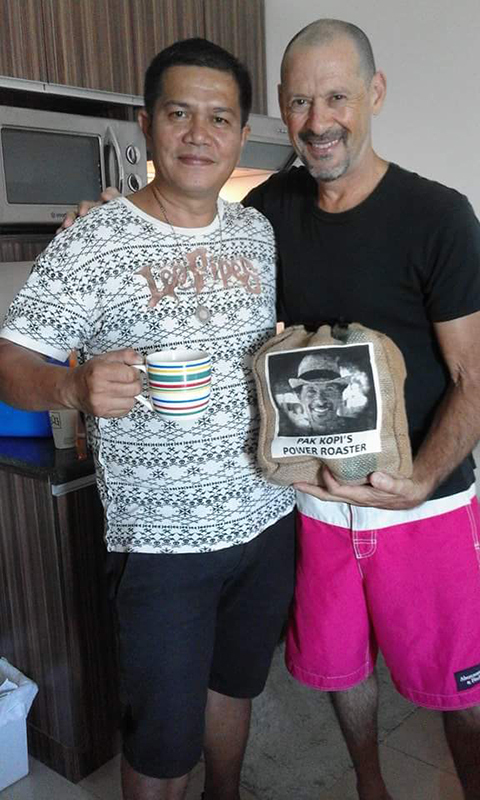 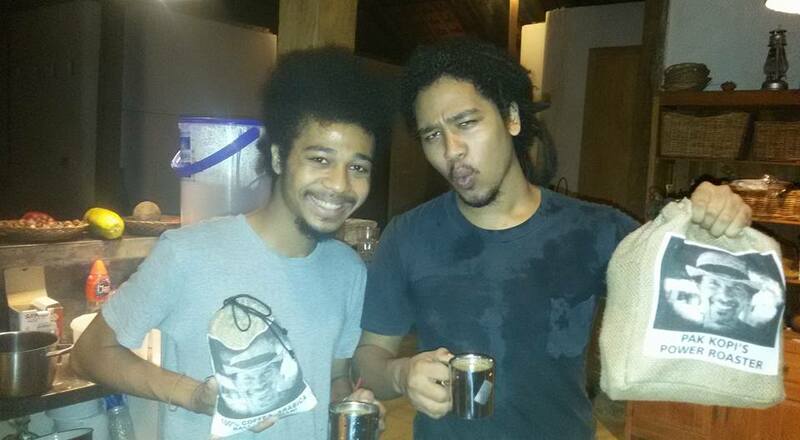 Brothers Isami and Eddy Rashid who have been big fans and supporters of my coffee! 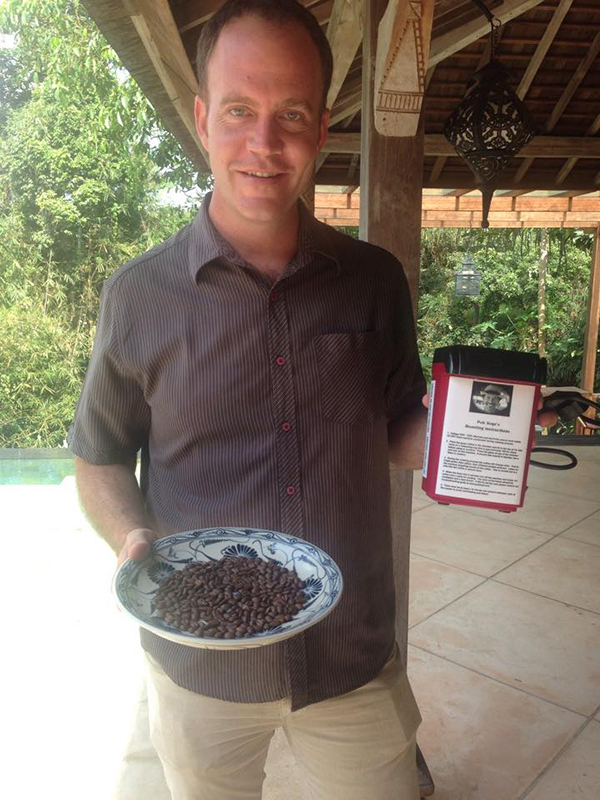 Filipino business partner Jeffrey Manhilot who purchased 6 of my first Power Roaster kits. 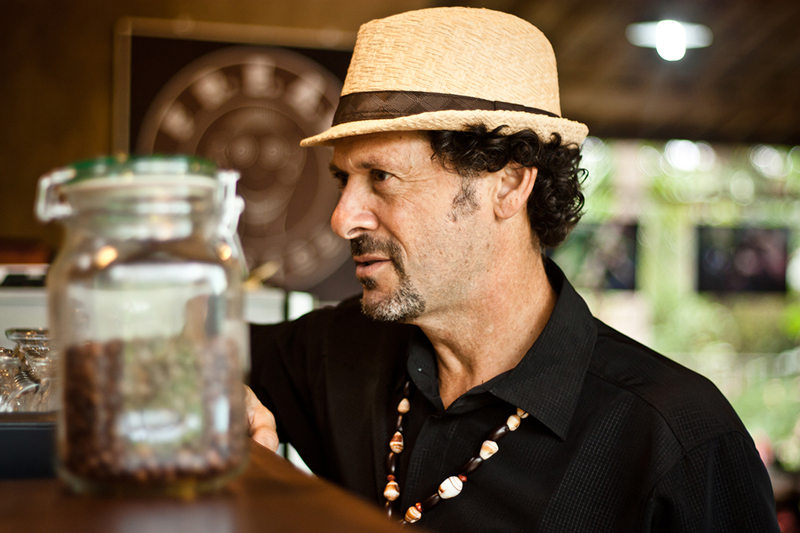 Jeff is a business powerhouse himself and a good friend! 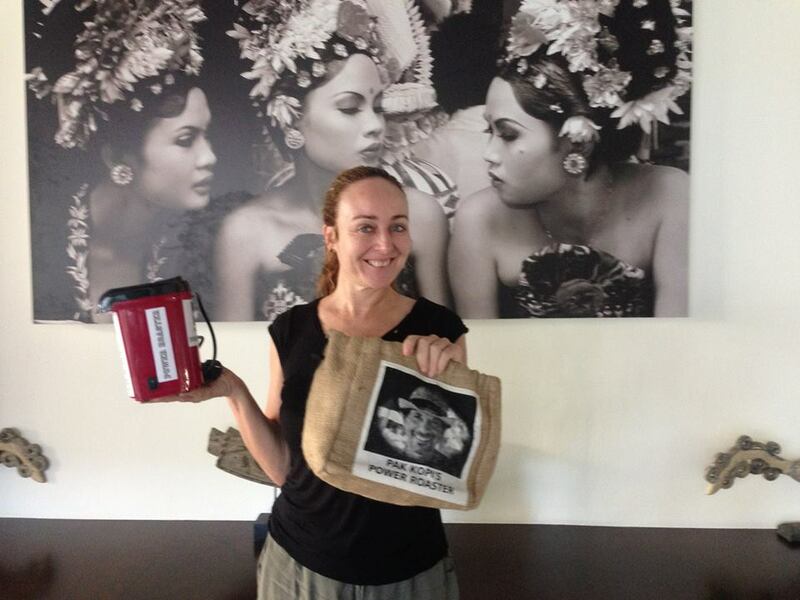 Friend of my Filipino girlfriend Janice, this fellow helped Janice acquire her Filipino passport. 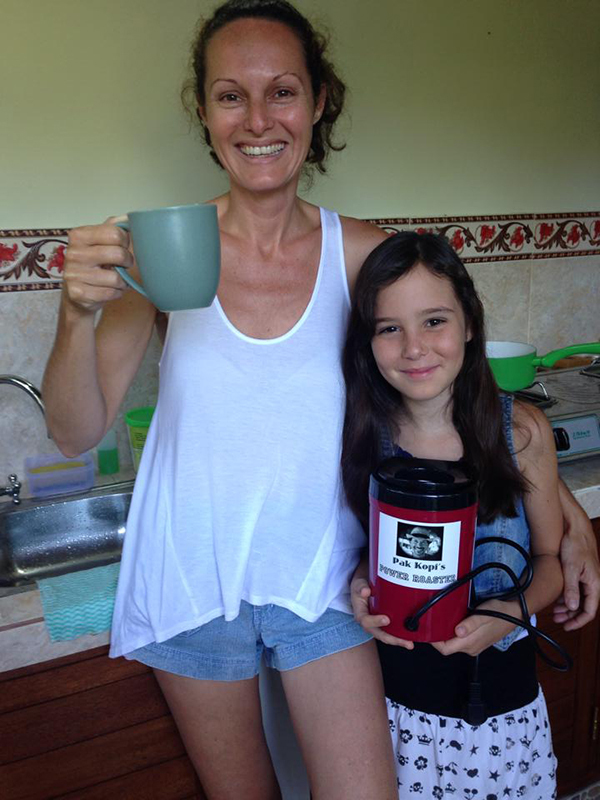 Rebecca and daughter Harper who is a very good friend of my daughter Sofia. 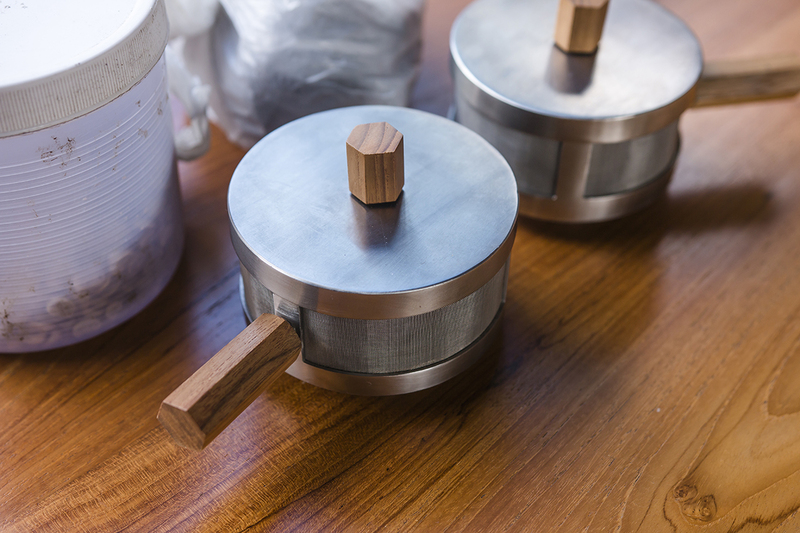 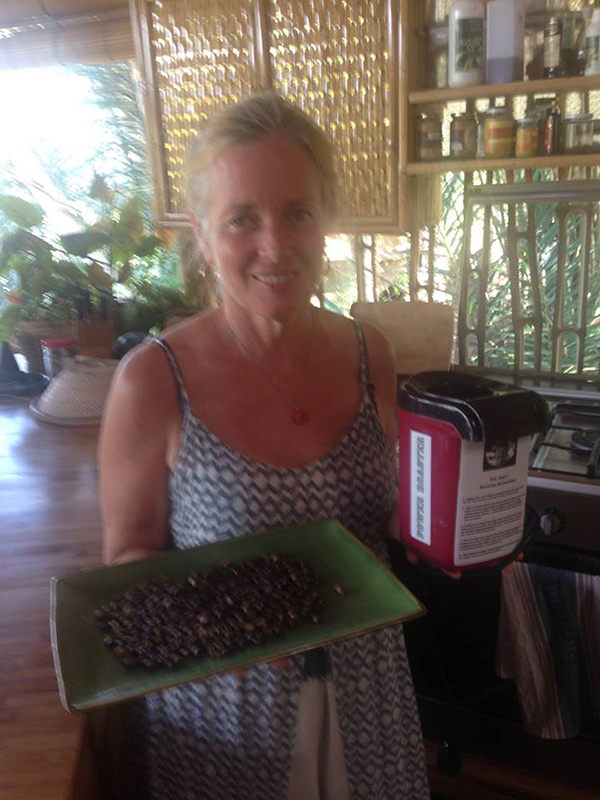 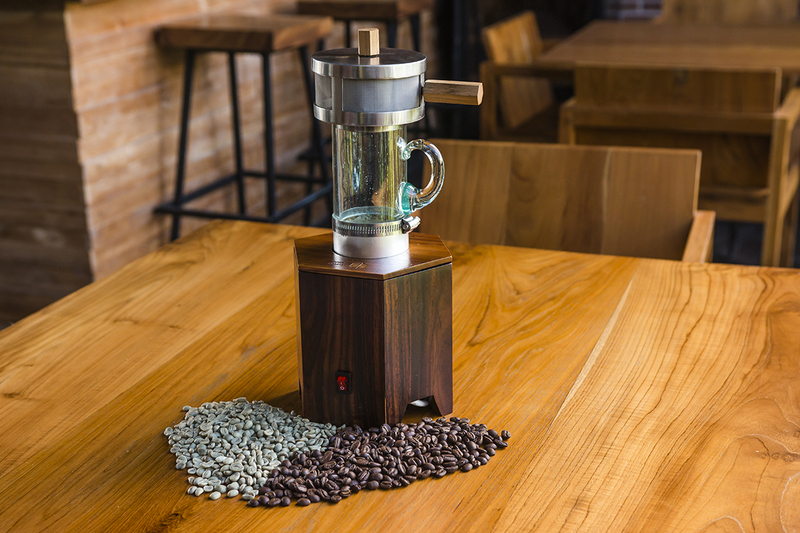 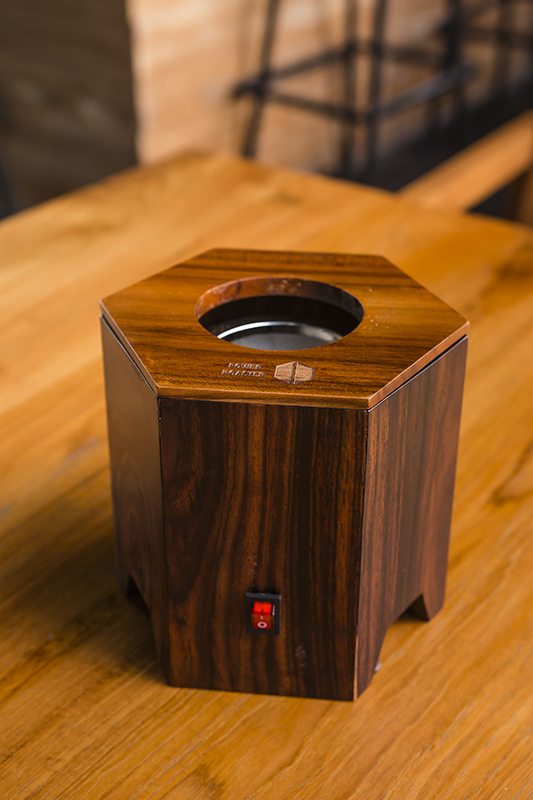 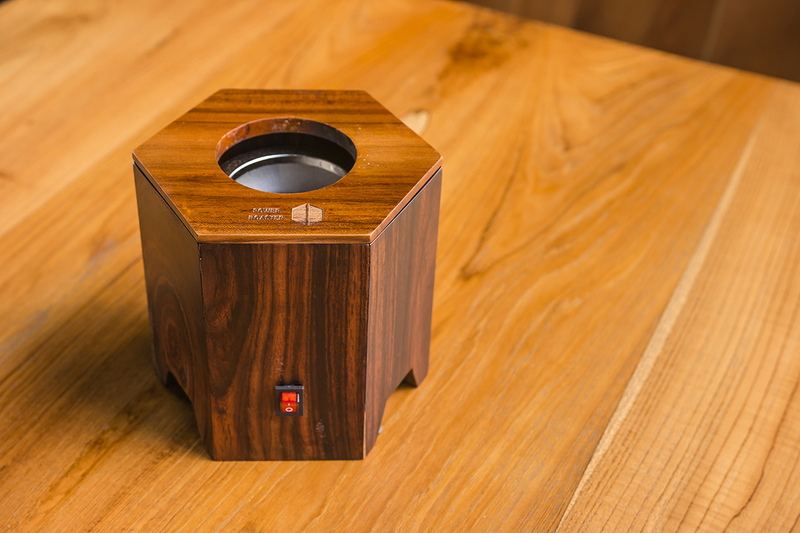 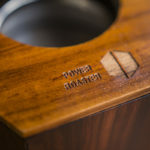 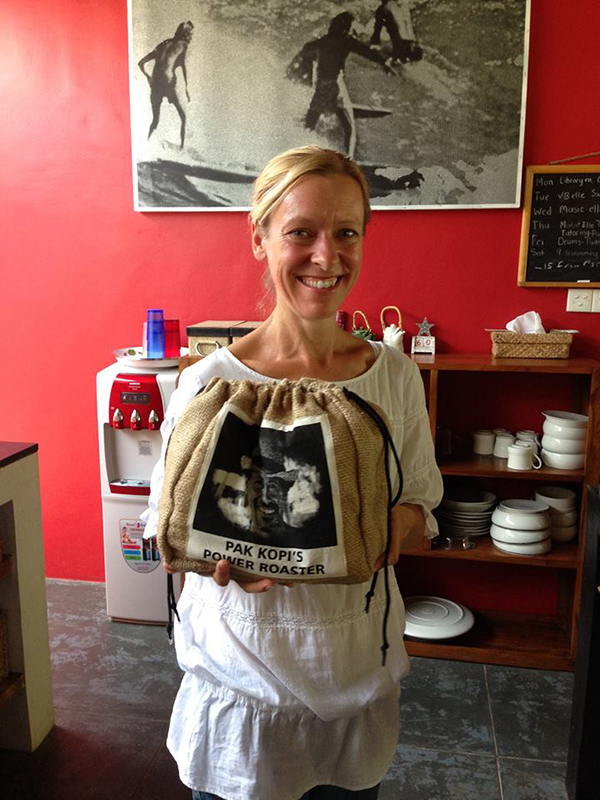 Rebecca was one of the very first purchasers of my very first Power Roaster prototype. 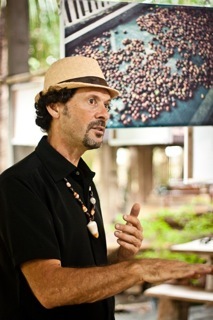 Steve Munroe, creator and owner of Hubud Co-working space. 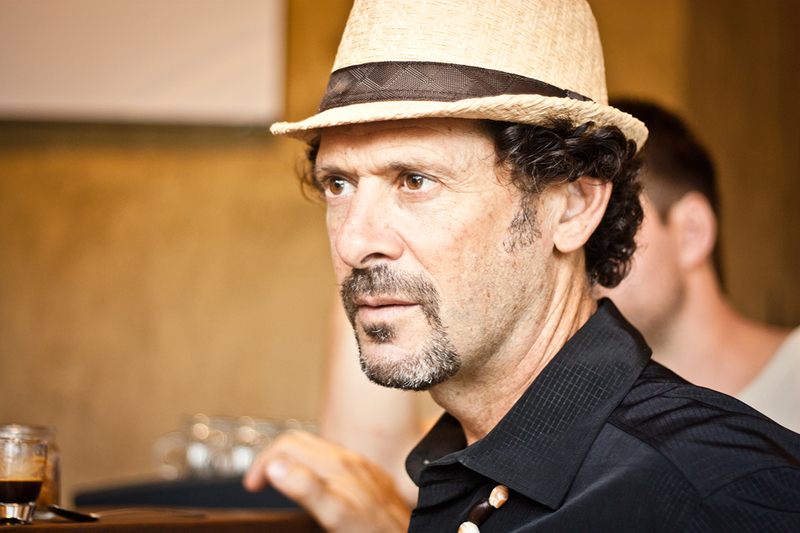 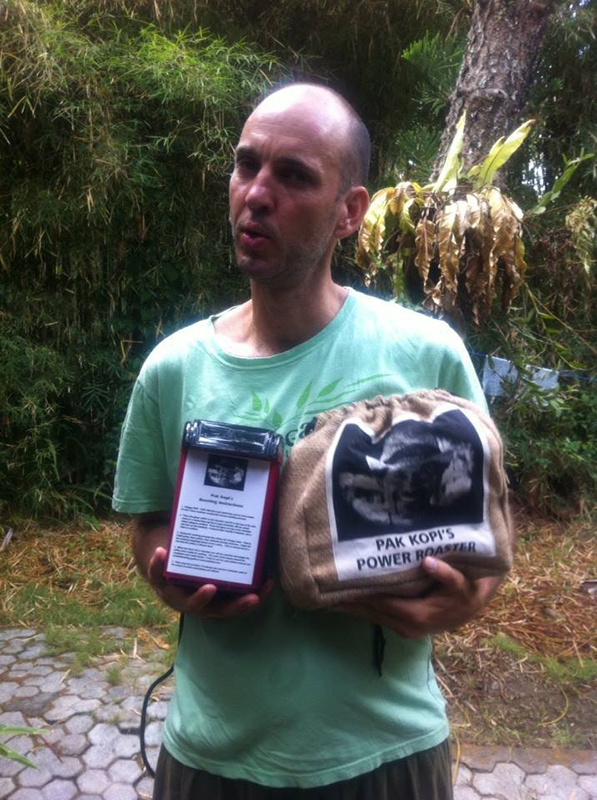 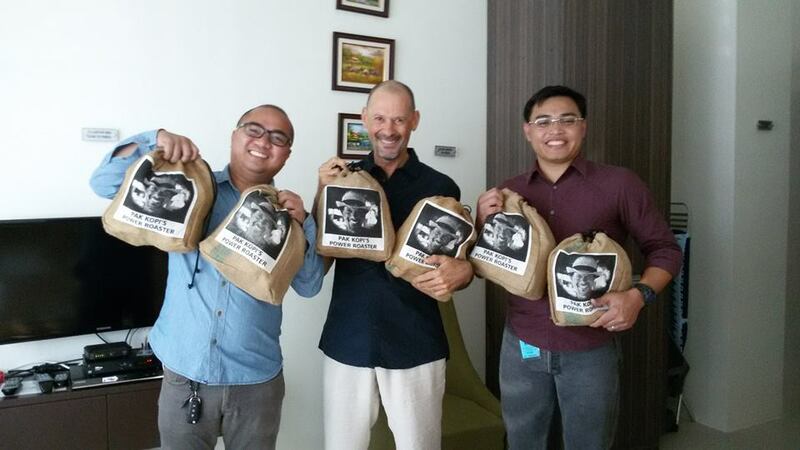 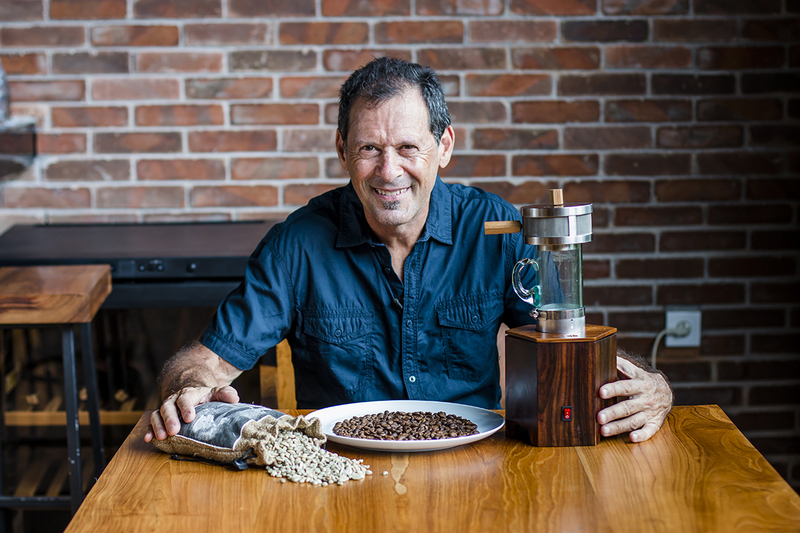 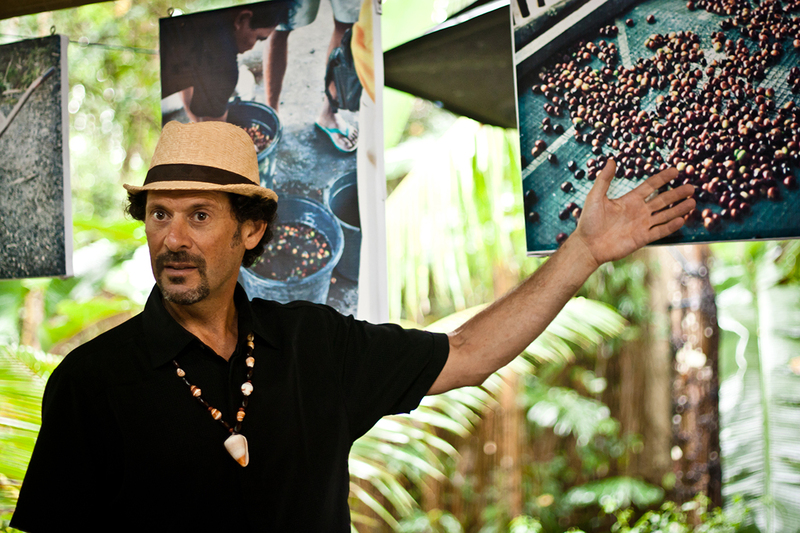 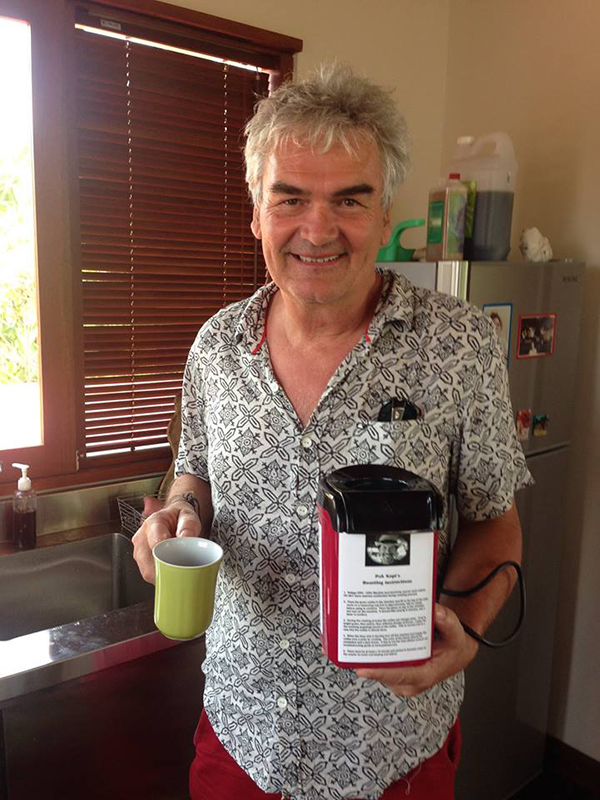 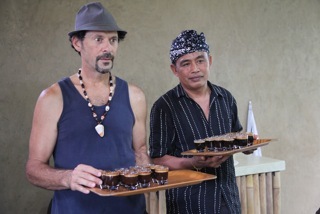 Steve first presented the idea of Hubud at the 2012 TEDx Ubud event where I gave my TEDx talk about coffee. 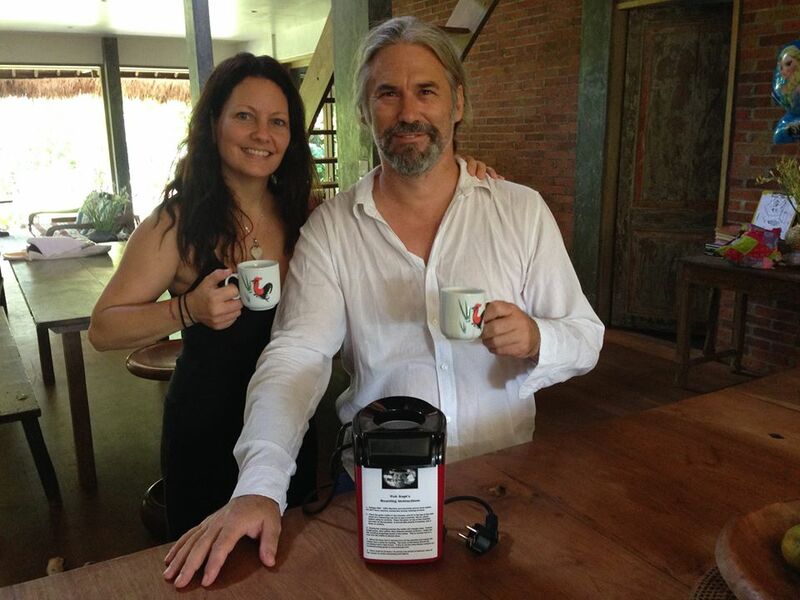 × Lise Baker and husband David. 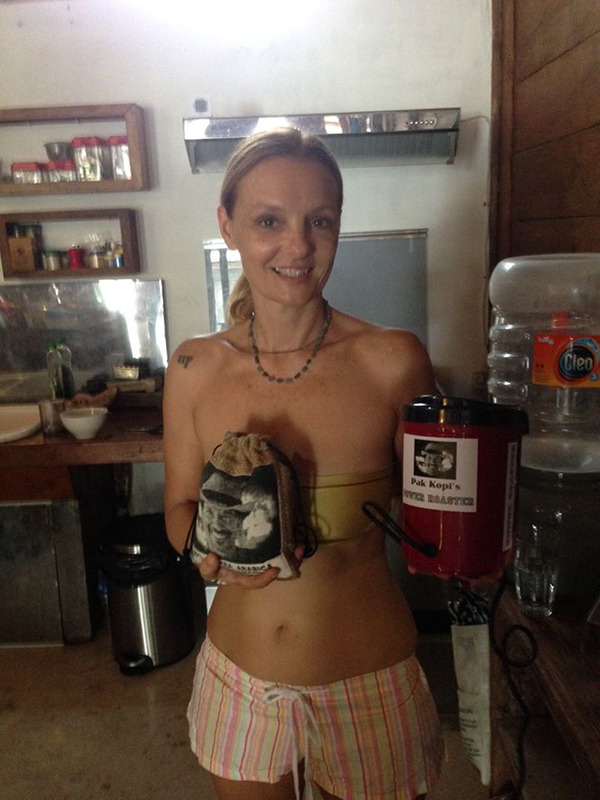 Lise was very instrumental in helping me blind taste test my theories about fresh roasting. 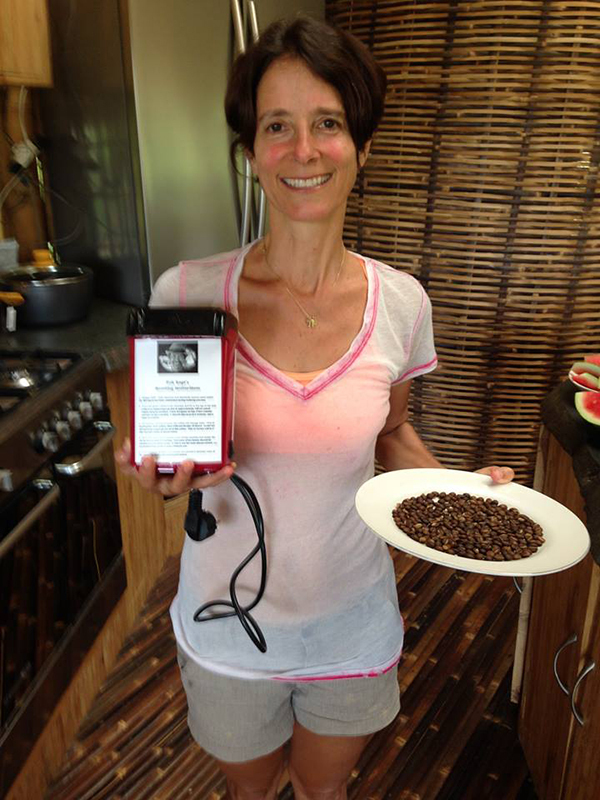 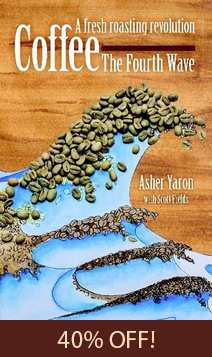 Lise is a Sommelier (wine taster) and enthusiastic supporter and contributor to my fresh roasted processes.